"He rants and rambles about female motorists and how incompetent they are, and how their sole purpose in life is to give birth to male children." KATY, Texas — A suspected Katy road rage shooter is back in jail after prosecutors say he spent months targeting the area’s female drivers. 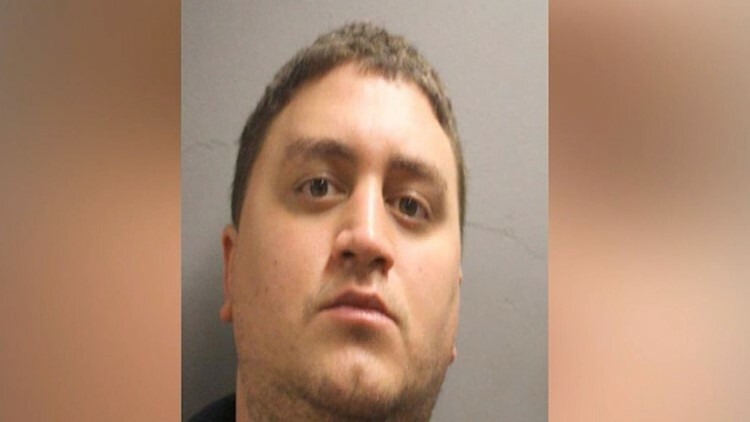 Nicholas D'Agostino did it because he allegedly hates women, particularly female drivers, a Harris County prosecutor told a judge Thursday during the suspect's arraignment. “He rants and rambles about female motorists and how incompetent they are, and how their sole purpose in life is to give birth to male children,” the prosecutor said referencing D'Agostino's social media posts. D'Agostino was arrested July 20 after Harris County Sheriff's Office deputies spent months trying to track down the gunman who shot a driver in March. Prosecutors say a woman was turning onto the feeder road outside of a Katy Freeway Shell station at about 2:30 p.m. on March 7 when she heard a loud noise and felt a pain in her arm. Deputies say the woman did not realize she had been shot until later. A suspect was never caught in the case. Then on the afternoon of July 10, another woman was shot outside the Simoniz Car Wash on South Mason Road. It took deputies 10 days to identify D'Agostino as a suspect. He was arrested and charged with aggravated assault. He was able to bond out of jail in August but was soon re-arrested and charged with the March 7 shooting. Deputies claim D'Agostino confessed to a total of six car shootings involving female drivers. A judge set D'Agostino's bond at $250,000 on Thursday for the second arrest.